Ships from Hong Kong. Wax paper pure, no fluorescent agent, high strength, good transparency, can be assured use. You can use the waterproof food paper for many kinds of food.Can be used the sheets paper for baking, oil proof, wrapping burgers and packaged nougat etc. Suitable high-temperature oven, toast, cookies and pizza, pad and food packaging. Package: 80 sheets,The size of each wrapping tissue piece of paper is 30*30 (11.81" x 11.81"), single extraction, the use of very convenient. Saves on cleanup time.Make food safer, make environment better. Wax paper pure, no fluorescent agent, high strength, good transparency, can be assured use. Suitable high-temperature oven, toast, cookies and pizza, pad and food packaging. 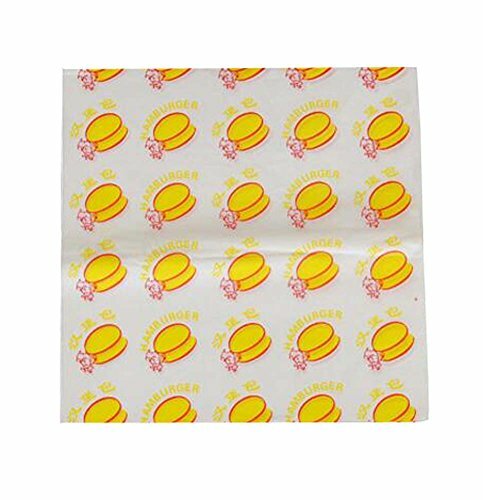 You can use the waterproof food paper for many kinds of food.Can be used the sheets paper for baking, oil proof, wrapping burgers and packaged nougat etc.